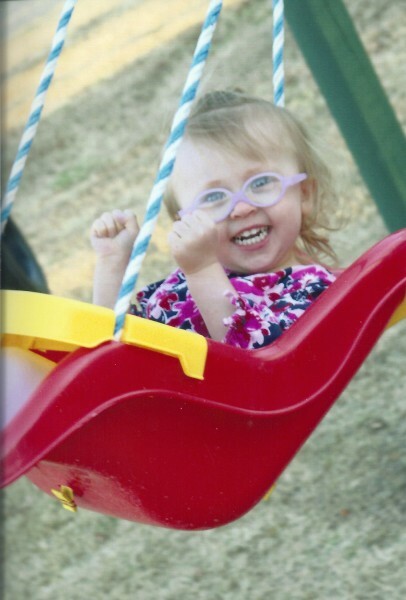 To put a smile in your day (I hope), here's Kaitlyn on her swing. While I'm posting photos, here I am with my two best buddies. now, that is what i call Joie de vivre!!!!! such unfettered, unselfconscious abandonment to the simple joy of being! Yes, you said it! So much joy. I can't look at this photo without smiling. it is a foolish wish, but may she never see the world through any other sort of eyes. Oh, isn't that what we all need - just to love what we're doing that very second, secure in the idea that everything around us is wonderful and always will be! Thank you, that is a smiley picture! Yes, you're exactly right. I'm so happy that you find this to be a smiley picture, too. :) Thanks! Thank you - such a joyful picture is exactly what I needed to see this evening. That is one happy little girl! I absolutely love that photo! Also, you three look marvelous! The sweater on Virginia is classic. Kaitlyn is so cute! 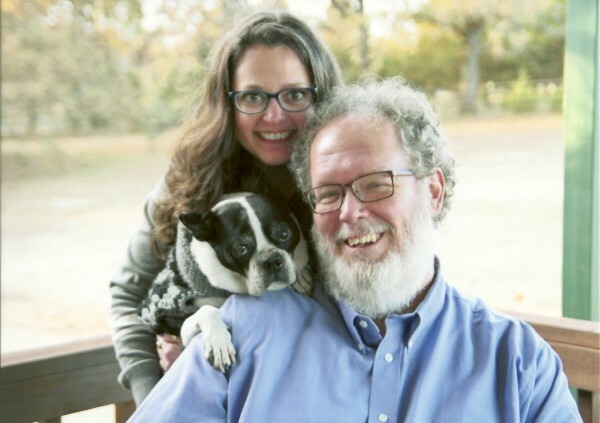 The pic of you, DH, and Virginia, the Best Canine Model in the World, is charming, too. Thank you for this spot of love and happiness. LOOK AT THAT SMILE! Totally made me smile! And then the second photo made me smile even harder! Excellent family photo. And you are one gorgeous woman, Dr. Amy H. Sturgis! I'm so tickled that she made you smile, too! I'm telling you, this photo of her is just "instant joy" for me.